The Sharelord® Project, founded by Nik Halik, is working with communities in Central and South America to build schools from discarded plastic bottles and non-biodegradable trash. To teach the youth environmental education: to recycle, and to respect and care for nature. The Sharelord® Project is fulfilling major infrastructure needs in a manner that is very cost-effective. The Sharelord® Project makes it a major priority to involve the entire community, so they take ownership of the project and empower themselves. 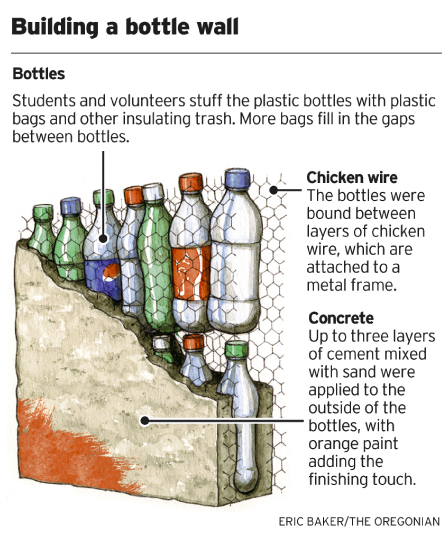 By building walls with plastic bottles stuffed with inorganic trash, we find this method of construction to be both eco-friendly and economical. Instead of the cinder-block walls usual in Central America, “eco-blocks” are stacked in between chicken wire, and covered in cement. Independent structural analysts have testified to the strength and safety of this method of construction. 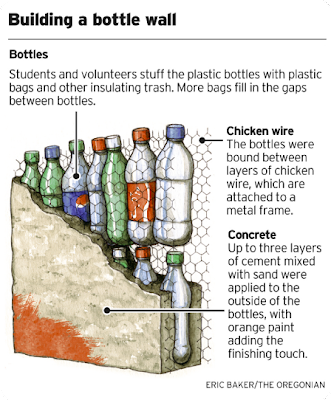 An entire community can get involved in the building of a Bottle School and benefit from it. In remote villages across Guatemala, the average school consists of four wooden plank shacks and a series of roofed out-structures for outdoor test taking. The demand for attending these type of primitive schools have quickly outgrown their capacity. The serious need for infrastructure coupled with a trash management problem in the remote village at large makes them a perfect candidate for our “Bottle School” Project. As the new school year gets started this year, The Sharelord® Project will begin environmental education classes. We will focus on recycling and begin saving bottles. The village community will collect all inorganic trash needed to fill them. This will be done in the high school as well as the primary school, as the next generation stands to benefit much from this project and wants to contribute. Read More and See Video Here!